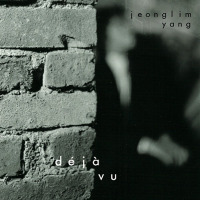 On her excellent debut record, Déjà Vu, bassist Jeong Lim Yang proves that there's more than one way to make a first impression on a listener. Rather than taking the obvious route with up-tempo workouts or deviously complex compositions, Yang is content to carve out plenty of open space for her music to breathe. 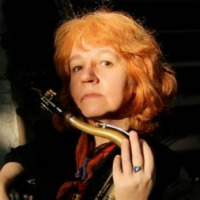 Her graceful melodies take shape with subtlety and a quiet assurance that stems both from her skill on her instrument and from the nuanced contributions of her bandmates. All eight of the pieces are Yang's, but they contain some clear referents that acknowledge her musical inspirations. The opening cut, "Moon Tethered" is a tip of the hat to pianist Masabumi Kikuchi and his Tethered Moon album with Paul Motian and Gary Peacock. In its unhurried, loping pace and fluid sense of pulse, the piece benefits from the supple work of pianist Nick Sanders, whose dissonant jabs enliven a piquant solo, and drummer Jesse Simpson, who brings a Motian-like sensibility to his open-ended approach to the kit. But this isn't a trio record (although with their strong rapport Yang, Simpson, and Sanders could certainly make a very fine one), as the album's virtues are substantially augmented by the presence of two veteran saxophonists: Adam Kolker (on tenor) and Michael Attias (on alto). Their presence helps to illuminate more of Yang's influences: Ornette Coleman, whose spirit is invoked in the record's title track, with a simmering intensity that inspires the two saxophonists to their most feisty and energetic playing on the record; and Don Cherry, given explicit homage on "Cherry," where the opening to his solo on Coleman's "Una Muy Bonita" serves as the melodic foundation for another free-flowing, engaging piece that again benefits from the partnership between Kolker and Attias, whose solos always seem to complement and feed off of each other perfectly. As for Yang's playing, what's most striking about it is its similarity to another of her forbears: Charlie Haden, whose earthy, tuneful simplicity always allowed him to find just the right notes without the need for excessive ornamentation. Listening to the fragile, melodic beauty of her solo on the wistful ballad "Are You Happy Now?" is a delight, as Yang too demonstrates that sometimes it's by saying less, or using fewer notes, that so much more can be communicated. Track Listing: Moon Tethered; Are You Happy Now? ; Déjà Vu; Ravine; Obtuse; Cherry; Peculia; Deal Breaker. Personnel: Adam Kolker: tenor saxophone; Michael Attias: alto saxophone; Nick Sanders: piano; Jeong Lim Yang: acoustic bass; Jesse Simpson: drums.